Children often love to read books in a series. In my classroom, I find this particularly true for the boys. It seems to take longer to hook some boys on a book, but once they are in, they are fully in and they want to read another book just like that one! A series can help with this! They can go on to read #2, 3, 4 . . . Lots of books = lots of reading. The kids keep reading. They are engaged and happy. Children reading! Parents and teachers are happy! Hurray for fabulous book series! *Please note: I don’t consider any of these strictly “boy” books. In fact, I don’t think there are boy books or girl books at all. All of these are fantastic for any readers. I have just noticed that boys often need a series to really hook them! All of these titles are in my classroom and enjoyed by both boys and girls. The Owly series by Andy Runton is charming for a variety of reasons. 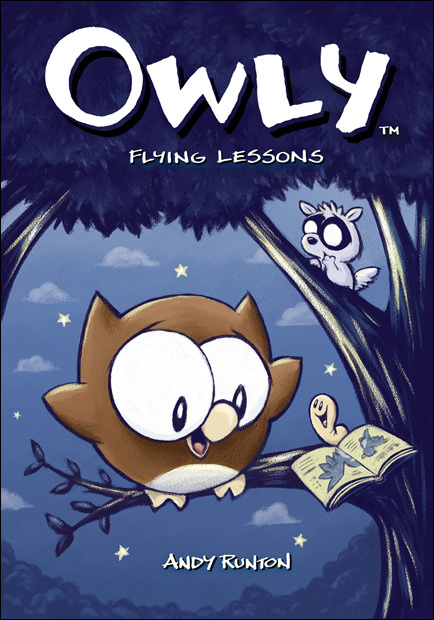 The character of Owly, a young owl, is very endearing and this is a wordless graphic series. Perfect for the imagination. 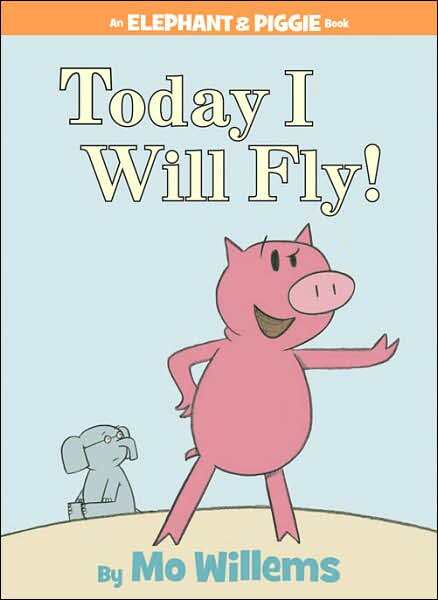 Elephant and Piggie by author/illustrator Mo Willems is an adored series in my classroom. Everyone loves these characters! 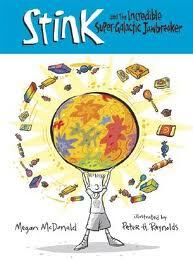 Fantastic for practicing dialogue and expression and for inferring from few words. Mostly these are great though for their huge giggle factor. Fly Guy titles by Tedd Arnold are the perfect beginning series. Funny. Hilarious pictures and a fly as a main character! I appreciate this post by Travis Jonker (@100scopenotes): Wherefore Art Thou Fly Guy Read Alikes? It speaks to how this reading/interest level is hard to replicate. 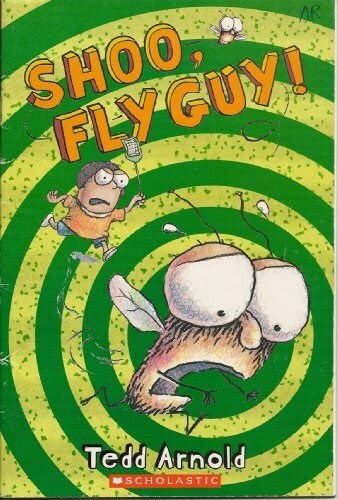 There are now Fly Guy titles with a nonfiction focus – although the reading level is a bit more challenging. 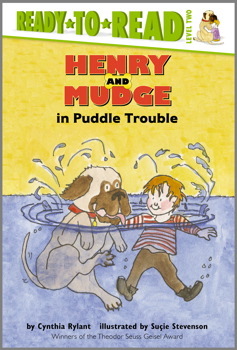 Cynthia Rylant wrote the beloved series Henry and Mudge – a cross between a picture and a chapter book all about a boy and his big loveable dog Mudge. Classics for a reason. 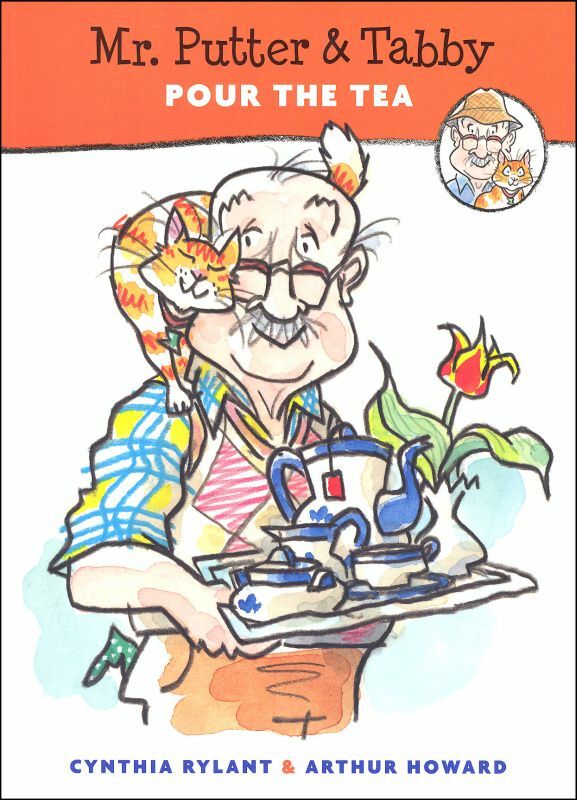 Rylant also writes the endearing Mr. Putter and Tabby series. Many of these stories are favourites in my room. Quiet, charming and full of fun. 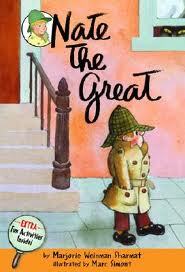 This Boris series by Andrew Joyner is part of the Scholastic Branches collection. 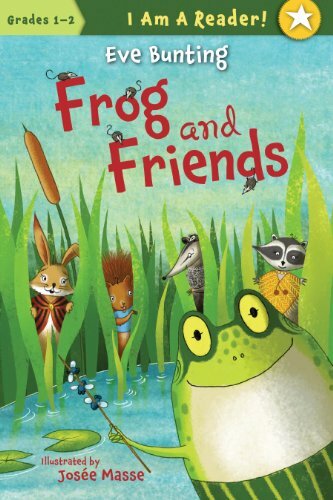 Frog and Friends by Eve Bunting and illustrated by Josee Masse are early readers with two to three stories inside each book. Delightful characters. There are various Balloon Toon titles that are loved in our room. 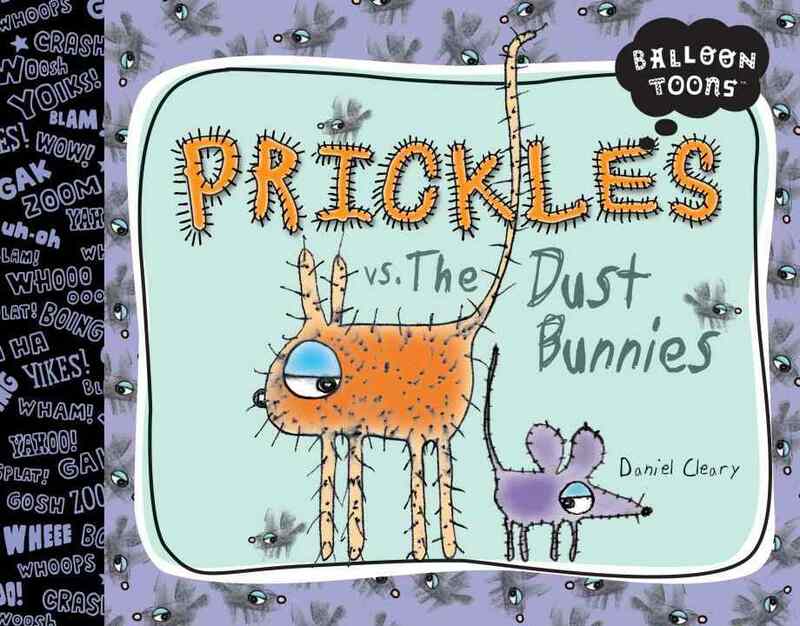 This one just might be our favourite: Prickles vs. The Dust Bunnies by Daniel Cleary. 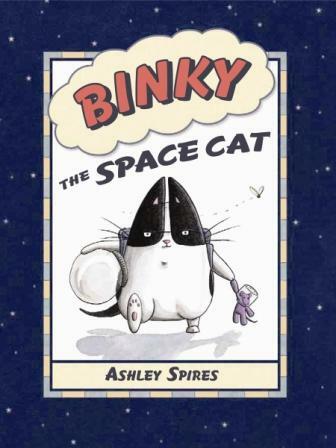 Binky the Space Cat by Ashley Spires is the first in a series of five graphic novels. Binky is a cat that has some scaled down but fully hilarious adventures. Nate the Great written by Marjorie Weinman Sharmat is a series of books about Nate and his talent for solving very important mysteries (with the help of his dog Fang). An older series and still lots of fun. 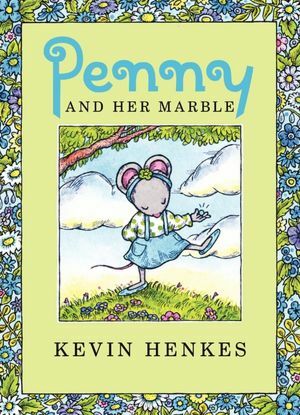 Kevin Henkes is a king when it comes to authors for books that young children love. His Penny stories are absolutely delightful! Easy to read, set up like a chapter book. And always, such good stories. Penny and her Marble is, so far, my favourite. The Iris and Walter series have ten different stories about “kid centric” topics such as school plays, field trips and substitute teachers. Organized in chapters with lots of illustrations. Written by Elissa Haden Guest and illustrated by Christine Davenier. 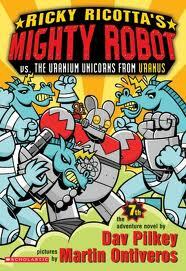 Many young readers love the Ricky Ricotta series by Dav Pilkey about Ricky Ricotta and his Mighty Robot vs some kind of terrible enemy (like the Mutant Mosquitos from Mercury or the Uranium Unicorns from Uranus) Don’t you just have to know if good or evil prevails? Stone Rabbit titles by Erik Craddock A time portal of doom under a bathroom rug and whoosh – who knows what kind of adventures you might have? A graphic series. 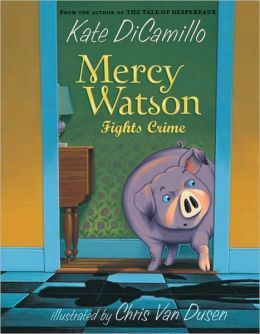 Kate DiCamillo wrote six of these Mercy Watson titles. I think probably once a week I have a child asking me why there aren’t any more! Mercy Watson is one charming pig! The part chapter/part graphic novel books about Bad Kitty are extremely popular in our classroom. 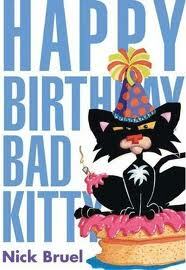 Nick Bruel has now written a number of early chapter books featuring Bad Kitty. Many children were first introduced to this hilarious and very naughty character through the picture books Bad Kitty and Poor Puppy. 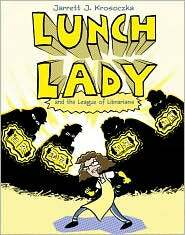 A favourite graphic series is the Lunch Lady by Jarrett J. Krosoczka. So what does the lunch lady do when she isn’t serving lunch? Well . . . fight crime of course! Lots of action. With a big side of silly! Ten titles in this series. 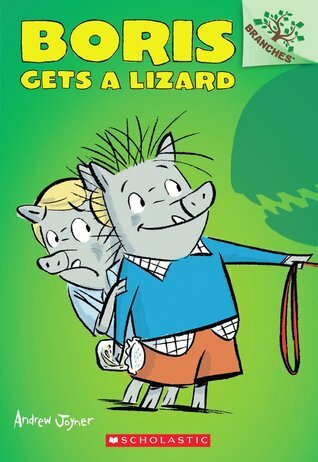 Jennifer L. Holm and Matthew Holm have created two favourite graphic series for young readers. Squish about . . . well, an amoeba. And the ever popular Baby Mouse series because, really, who doesn’t adore Baby Mouse? 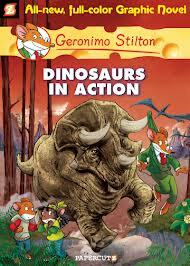 Geronimo Stilton titles are now released as a graphic novel series. 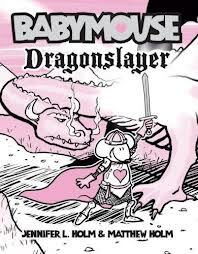 Numerous titles in this series about a bunch of mice on adventures. 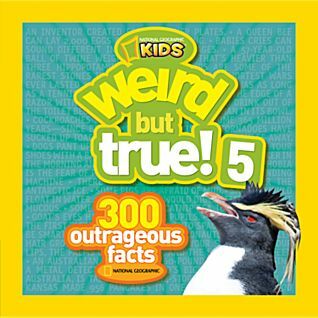 The Weird but True series of fascinating facts by National Geographic Kids constantly make the rounds in my classroom. Who doesn’t love to astonish others by amazing facts that are actually true? 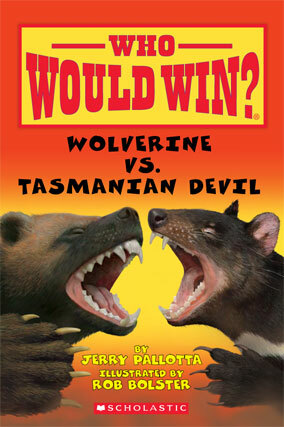 The Who Would Win series by Scholastic are very engaging. Nonfiction facts and organized to highlight the dangerous attributes of two different animals. 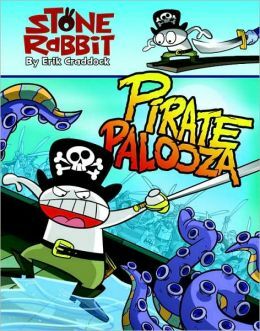 Written by Jerry Pallotta and illustrated by Rob Bolster. 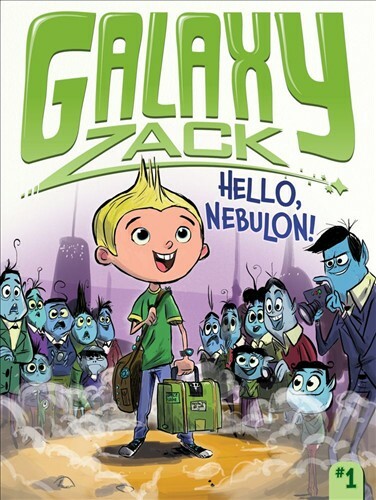 Galaxy Zack written by Ray O’Ryan and illustrated by Colin Jack is a series with lots of appeal. Space! Aliens! Robots! Such a fun early chapter book series. 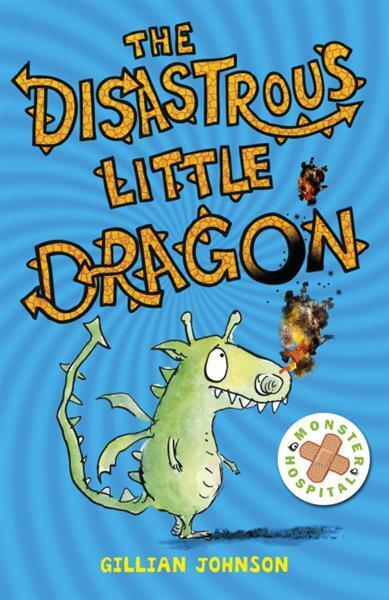 The Disastrous Little Dragon by Gillian Johnson Part of the Monster Hospital Series. 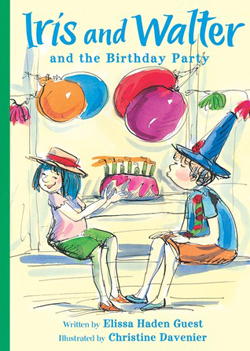 Fun and full of expressive illustrations – ideal for students moving into early chapter books. Captain Awesome written by Stan Kirby and illustrated by George O’Connor. 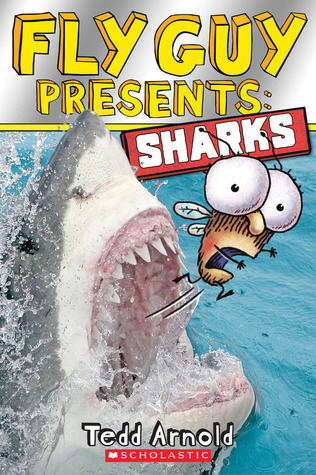 Lots of silly humour and plenty of action in this early chapter book series. 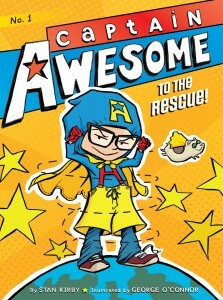 Superheroes are celebrated as Eugene McGillicudy becomes Captain Awesome, his fearless alter ego! Definitely for the younger crowd’s tastes. Fangbone! 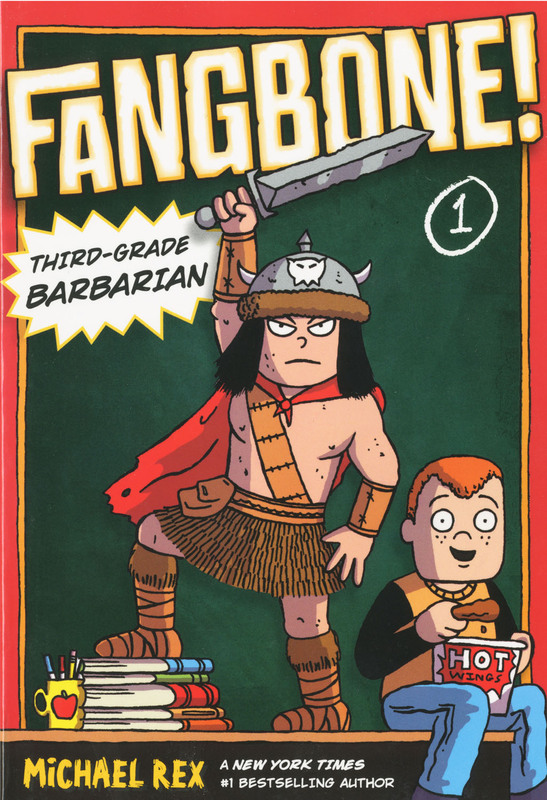 by Michael Rex This graphic series honours Barbarians in third grade! Pretty funny! 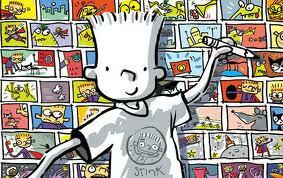 We first met Stink as Judy Moody’s annoying little brother in the Judy Moody series. 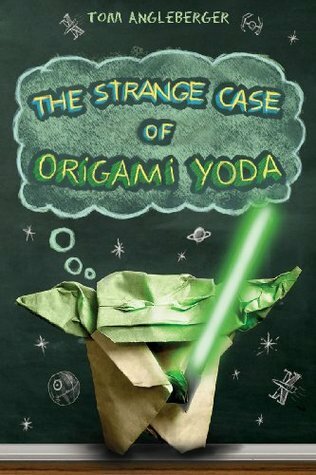 Tom Angleberger books began with The Strange Case of Origami Yoda. We can’t not buy the latest in this series every time a new one is released. I asked my son why he thinks these books are great. “It’s the subject and how they are set up but really they are just really good stories.” Yep. Judy Blume! Peter H. Reynolds! Hilarious, connectable text and awesome illustrations with a very funny character: the Fudge Books. You can’t go wrong! We first met Fudge in the book Tales of a Fourth Grade Nothing (published in 1972) Blume’s grandson Elliot convinced her to write another book featuring Fudge and thirty years later she began to write about Fudge again. Double Fudge is pictured below. 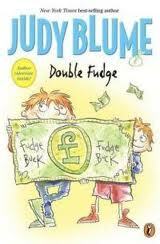 Check out the other books featuring Fudge: Otherwise known as Sheila the Great, Super Fudge and Fudge-a-mania. Cornelia Funke is a very popular author for older readers. 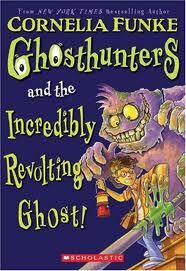 Her Ghost Hunters series is perfect for children 7 and up. My son read all four books in this series and wishes there were more! 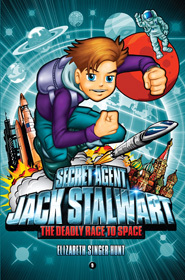 For lovers of adventure, nothing beats the Jack Stalwart series written by Elizabeth Singer Hunt. Nine year old Jack (who happens to be a secret agent) must travel the world (each book is set in a different location) in search of his brother. Chapters are short but these books are long on spy details. Perfect for want to be secret agents! 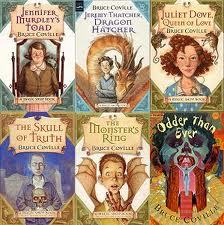 I can’t say enough great things about the Magic Shop series by Bruce Coville. It actually doesn’t read as a series – the books can be read in any order and are loosely connected by Mr. Elives and his Magic Shop that children seem to magically discover when escaping trouble only to find themselves mixed up with something they could never have believed. A fabulous fantasy series for young readers. This is not a comprehensive list by any means but I hope enough to give you some new ideas! 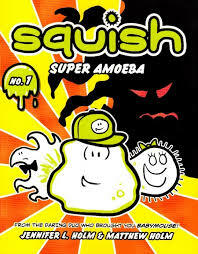 Mr Gum series written by Andy Stanton and illustrated by David Tazzyman. Lots of fun with great illustrations! It reminds me of Roald Dahl a wee bit! Great suggestion! Thank you 🙂 I might book talk some of these with the class soon. I think we have a few in the Seymour library. Love this list – There are a few we don’t have at Dickens! I’m especially looking forward to Fangbone and The Disastrous Little Dragon. 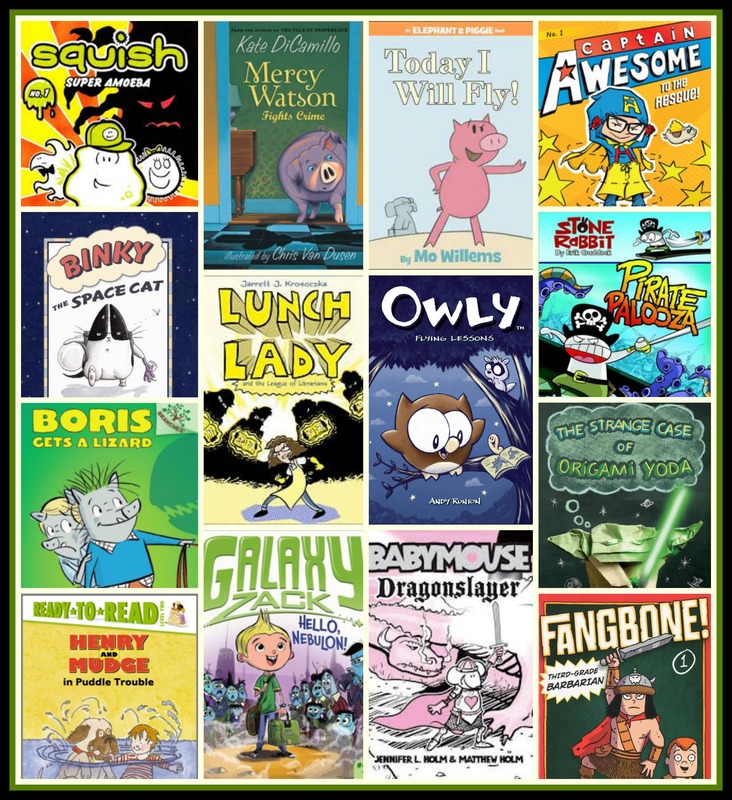 A couple of great series not here include Zac Power BY H I Larry, and Agent Amelia by Michael Broad. Another I love that is a bit older is The Dragonling series by Jackie French Koller. Great suggestions! I still haven’t read a Zac Power title. I think I will update this list soon and add these in. I’m reading some other early readers that I just picked up at Kidsbooks. Thanks for this. I am a lucky third grade teacher with a grant to expand my library. I got some great ideas here. I am so thrilled you found some suggestions that will work for you! Thanks for visiting.